LONDON (Sputnik) - The poisoning attack on former Russian double agent Sergei Skripal and his daughter Yulia in England remains a mystery, as Yulia remains inaccessible to the public and Russian officials even after she has been released from a UK hospital. The Skripals were found unconscious on a bench at a shopping center in the UK city of Salisbury on March 4. Yulia Skripal regained consciousness in late March. The hospital confirmed her release on Tuesday, but her current whereabouts is unclear. The Sun newspaper has reported, citing a source, that Yulia had been transported to a hospital on the territory of a military base, while the BBC broadcaster said she had been brought to a "secure location." The United Kingdom has accused Moscow of orchestrating the attack on the Skripals using a substance that belongs to the Novichok group of chemical weapons developed in the Soviet Union. Russia has denied the accusations. The official UK position on the case has been reflected in multiple media stories. Colin Alexander, an assistant professor of political communications at Nottingham Trent University, warned that, while some news consumers look for different sources, many people tend to look for the outlets that simply confirmed their already existing point of view. "Essentially, the people who want it to be Russia, will find news sources that will say 'it’s Russia'… The Russia angle fits a range of other foreign policy issues and political narratives that we have at the moment," the scholar said. The description of Salisbury post-incident is a prime example of two different points of view: many media outlets depicted the city as a "ghost town," whereas a Sputnik correspondent found a bustling city center, with local residents simply going on about their lives. The much awaited release of Yulia Skripal from the Salisbury District Hospital after her poisoning with what UK experts say was the military-grade A234 nerve agent has made little impression on local residents, with the hospital appearing to operate business as usual. Visiting Salisbury on Tuesday, a Sputnik correspondent found the city much as it was in the aftermath of the March incident. The two places visited by the Skripals hours before they were found unconscious — The Mill pub and Zizzi restaurant — where traces of the nerve agent were later found, were still sealed off to the public. The home of Sergei Skripal remains cordoned off as well. The Daily Mirror newspaper reported that the staff at the two venues were recommended to burn their clothes that may have come into contact with a substance used to poison the Skripals. The Guardian newspaper reported earlier this month that the process of decontamination of the pub and the restaurant would take months. The Mill's franchise Greene King was hesitant to confirm media reports claiming that the bar and restaurant were subject to demolition as a result of the contamination. "It's our understanding that any definite decision has yet to be made. We fully support the police investigation [and] it may be the case that action might need to be taken, but at this stage in the investigation it's not really possible to say," a Greene King spokesman told Sputnik. The Russian Foreign Ministry has stressed that demolition of any locations linked to the poisoning seemed aimed at destroying evidence. 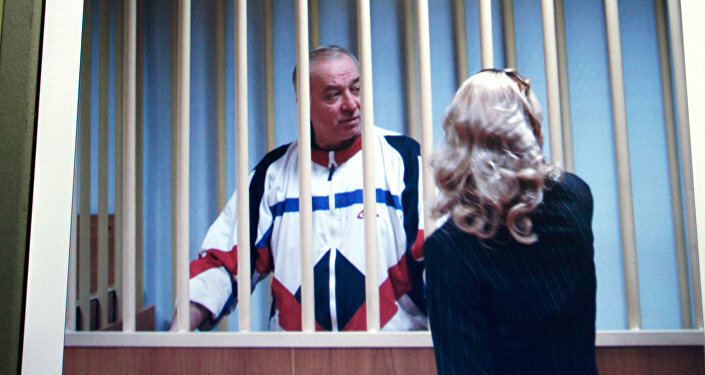 The Telegraph newspaper reported last week that the UK authorities were prepared to offer Sergei Skripal and his daughter the opportunity to participate in a witness protection program to guarantee their safety. 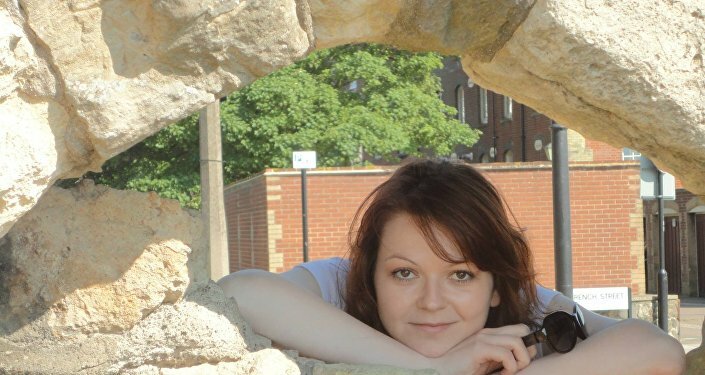 Sergei's niece, Viktoria Skripal, has stressed that Yulia wants to return to Russia, where her boyfriend, and her job are waiting for her. Yulia has Russian citizenship, but the Russian Embassy remains in the dark regarding the current state or whereabouts of the woman. "Media reports that Yulia has left hospital for a 'secure location' cause concern as they mean that British authorities are continuing their policy of isolating her from the public, concealing important evidence and blocking an impartial and independent investigation," a spokesman for the Russian embassy said. The spokesperson confirmed the Russian officials' "request and intention to meet her and see for ourselves if she is well." "And at the very least, we demand an urgent proof that all actions in relation to Yulia are being taken in strict observance of her free will," the spokesperson concluded. The UK Metropolitan police last Thursday issued an official statement on behalf of Yulia Skripal, saying that her strength was "growing daily." The statement called the incident "disorientating" and asked people to respect Yulia's privacy during the period of recovery. The young woman's media silence is particularly noticeable, since her testimony could be crucial to what has become an international scandal. The UK government's refusal to produce evidence to support its persistent claim that Russia is behind the poisoning could mean that either London has some information it cannot reveal or its stance is "a strategic plan," Alexander told Sputnik. "Or you can say the British government wants it to be Russia, because that fits so many other narratives that are ongoing. The mainstream British press seems to want it to be Russia as well. Their critical sources are official British sources, without really providing any critique of those sources," the expert argued. According to Alexander, Yulia Skripal's silence so far could be a sign of her unwillingness to be interviewed or "part of a strategic communications management strategy" of the UK authorities. "It seems to me that the British government is working on an outdated communications strategy, because if you go on Facebook or Twitter, you see all those counter narrative to what the British government is saying. There’s a real lack of sophistication in how this is being handled," the expert said. 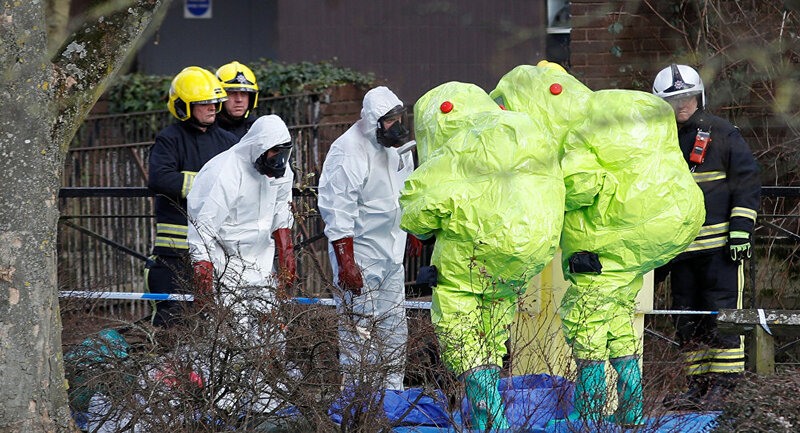 Gary Aitkenhead, chief executive of the UK government's Defense Science and Technology Laboratory (DSTL), admitted last week that the nerve agent used to attack the Skripals could not be traced to any specific nation. 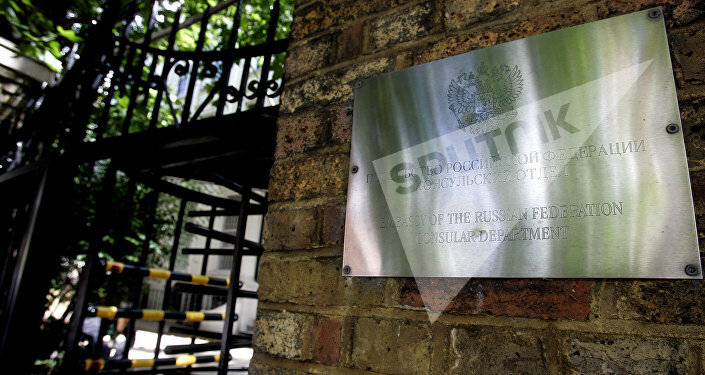 London responded by reiterating that Russia was responsible, stating that the DSTL's findings were only part of the intelligence the United Kingdom had. A few days later, the Times newspaper reported that the government knew Russia was behind the attack almost immediately after news of the attack broke. 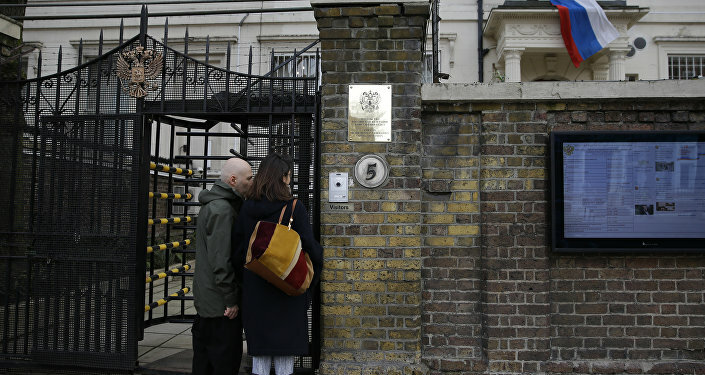 Meanwhile, UK officials have barred not only to the Russian Embassy, but also Yulia's cousin Viktoria, who intended to visit her hospitalized relatives but had her UK visa application rejected, from gaining access to the former spy. The SkyNews broadcaster then released a video with Viktoria Skripal's address to UK Prime Minister Theresa May in which she asked the latter to allow her to come to the United Kingdom to visit her relatives. According to the broadcaster, Skripal intended to hand over her letter to May through the Russian Embassy. Both the Home Office and Downing Street refused to respond to Sputnik on whether Viktoria had indeed personally written to May in an apparent bid to reverse the decision to deny her a visa. Experts are optimistic about the recovery of Yulia and Sergei Skripal and their ability to shed some light on what happened in Salisbury, despite the warning by Christine Blanshard, medical director of the Salisbury hospital, that the intoxication led to sickness and hallucinations. Dr. Alastair Hay, professor of environmental toxicology at the University of Leeds, argued that in the absence of brain damage, Yulia Skripal would still be able to speak coherently about what happened to her. "I do not know what Yulia's exact mental status was but as long as there is no brain damage with a nerve agent a person's cognitive function is not impaired. So after regaining consciousness fully I am sure Yulia knew what she was saying," Hay told Sputnik. People suffering from nerve agent poisoning can hardly be expected to be coherent, but "following complete recovery, the patient should be able to function normally," Dr. Rudy J. Richardson, Professor of Toxicology at the University of Michigan, added, in a comment to Sputnik. However, the public may not learn the full truth about the poisoning for years to come. "We’ll continue to have the drip, drip, drip of information… My feeling with these things is that you find out in ten to twenty years’ time," Alexander, a scholar from Nottingham Trent University, said. The expert cited the UK participation in the foreign invasion in Iraq, which took place in 2003 as an example of an event covered in secrecy even years after it had happened. "About 15 years later, we’re still not quite sure what happened. All we know is that what we were told in 2003 was happening was not what actually was happening," Alexander said.